Andy Murray will not quit the majors without another characteristically nasty fight. His last French Open: five brutal sets before Stan Wawrinka put him to rest. His last Wimbledon: five more sets of agony with his hip all out of sorts. Today at the Australian Open—which, given his retirement announcement, will probably be his last—the Scot fell to Roberto Bautista Agut in five after gritting out two tiebreaks, 4-6, 4-6, 7-6(5), 7-6(4), 2-6, for four hours and nine minutes. The Scot’s first-round matchup couldn’t have been much trickier. Batista Agut arrived in Australia red-hot, upending Novak Djokovic—the world’s best player by a large margin and the favorite down under—before claiming the Doha title. Murray, who couldn’t be in a more different place in his career, still hung in it before the Spaniard finally broke away in the fifth. 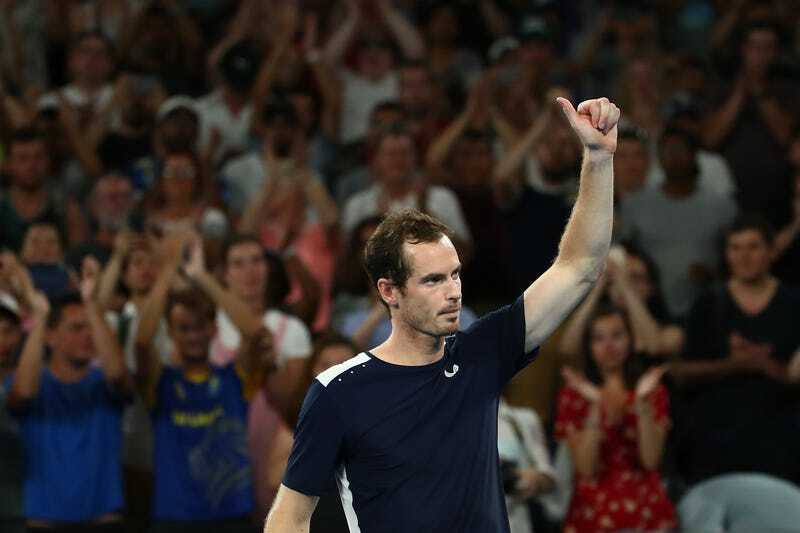 If Murray’s on his way out, at least he’s doing it in ridiculously Andy Murray fashion: scrambling to three corners of the court, scraping back drop shots and lobs, and stealing a 17-stroke rally, despite looking unable to take another step afterwards. After the loss, Murray, who made the finals here in 2010, 2011, 2013, 2015, and 2016 left open the possibility that he’d return again. “But yeah, look. I don’t know, maybe I’ll see you again, I’ll do everything possible. Yeah, I’ll do everything possible to try—if I want to go again, I’ll need have to have a big operation which there’s no guarantees I’ll be able to come back from anyway, but you know, I’ll give it my best shot. Thank you, thanks again,” he said on court. It’s a huge hypothetical, but his fans will cling to it hungrily and desperately, just like Andy Murray has held onto tennis.